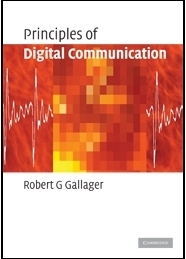 The renowned communications theorist Robert Gallager brings his lucid writing style to the study of the fundamental system aspects of digital communication for a one-semester course for graduate students. With the clarity and insight that have characterized his teaching and earlier textbooks, he develops a simple framework and then combines this with careful proofs to help the reader understand modern systems and simplified models in an intuitive yet precise way. A strong narrative and links between theory and practice reinforce this concise, practical presentation. The book begins with data compression for arbitrary sources. Gallager then describes how to modulate the resulting binary data for transmission over wires, cables, optical fibers, and wireless channels. Analysis and intuitive interpretations are developed for channel noise models, followed by coverage of the principles of detection, coding, and decoding. The various concepts covered are brought together in a description of wireless communication, using CDMA as a case study.